The Smithsonian says it, so it must be true. 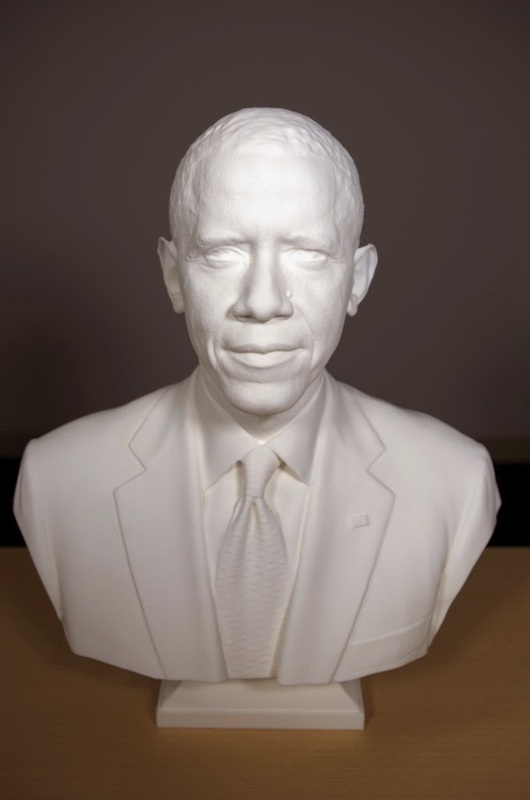 Digital imaging specialists have created a 3D-printed bust and life mask of Obama, which will be his first presidential depictions in the National Portrait Gallery collection. Anyone who has seen a 3D printer knows that the unit lays down a layer of plastic with each pass.